It’s nice to know a bit about the places on the itinerary of your cruise before you set sail on your Mediterranean adventure. That way, even if you don’t purchase any shore excursions, you’ll still have an idea of what there is to see and do in each place. We know all about the most popular cities: Florence, Pisa and Rome, but what about the ports which act as gateways to them and other parts of Italy? 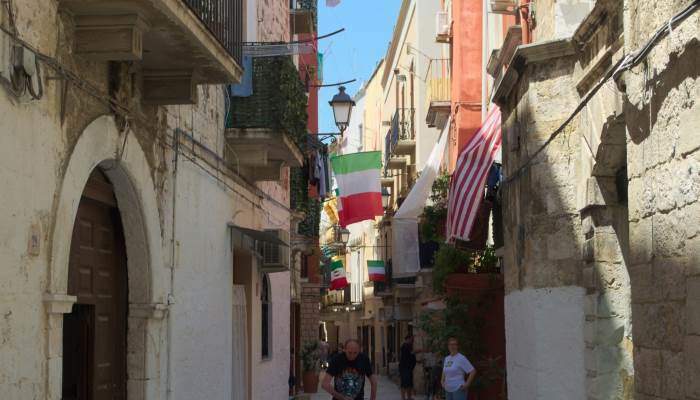 Here’s some advice on what to expect of the cities you could end up in on your cruise – from Civitavecchia with its blood-stained Virgin Mary to Messina’s 500-year old preserved saint – and everything in between! This Tuscan coastal town is featured frequently in Mediterranean cruise itineraries, and that’s because it’s the cruisers’ gateway to Florence and Pisa. 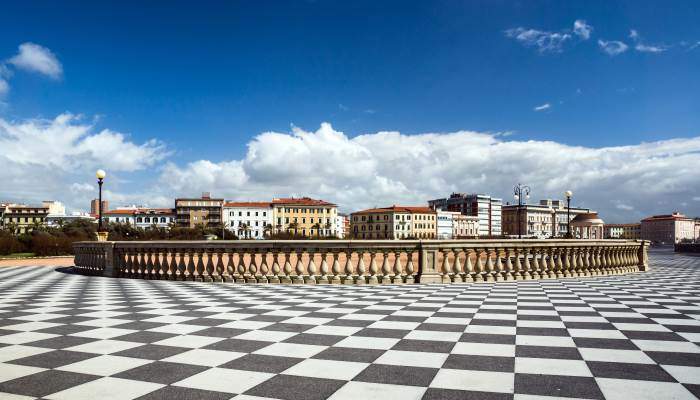 Since these cities are so popular for their stunning architecture and artistic heritage, visitors usually don’t bother hanging around in Livorno. But if you find yourself in town, it’s worth paying a visit to sights like Terrazza Mascagni – a black and white checker stone terrace which stretches out endlessly like an optical illusion to showcase dramatic views of the coast. There’s also Livorno’s Little Venice, where canals weave their way through streets filled with the buzz of restaurant goers ambling in and out of eateries after nightfall. Did you know there are two Sistine chapels in the world? If you didn’t, you may be surprised to discover that one of them sits in this modest northern Italian city. Savona’s cruise port is within walking distance from the centre of town, so you’ll have no difficulty getting around to all the tourist hot spots. There are churches, fortresses and palaces among a lot of other things to see here. In summer, drink in theatrical and musical performances at the Old Dock against a deep blue Ligurian Sea backdrop. 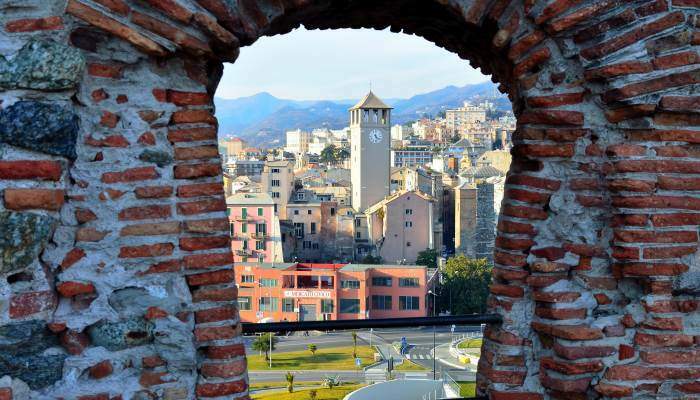 In winter, snuggle up to view Picasso and Miro paintings at the Pinacoteca Civica di Savona. 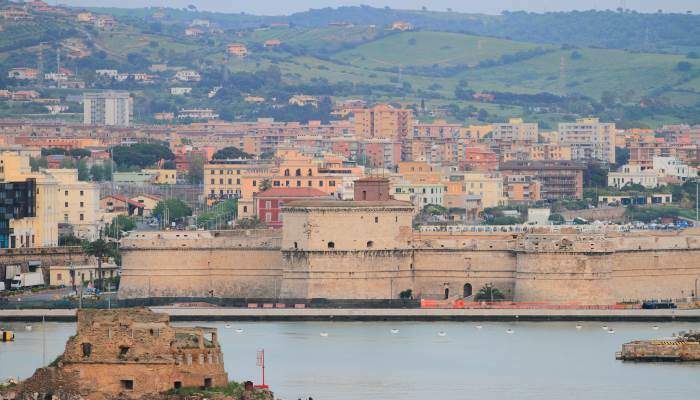 The first thing you’ll notice on approach to this ancient port city is the impressive Michaelangelo Fortress, designed in part by the man himself. At just over an hour’s drive from Rome, bustling Civitavecchia is a tourist attraction in its own right. The Terme Taurine baths, a short drive towards the edge of the city, is another popular attraction. As are the Ficoncella hot sulphur springs nearby, which are said to promote healing for arthritic and skin conditions! Also worth adding to your itinerary is the Weeping Madonna of Civitavecchia, a pint-sized statue of the virgin Mary. After its owners reported who witnessing blood streaming down its face, it attracted a great deal of attention from the media and, not surprisingly, it’s now become one of the city’s major attractions. Tests have confirmed the blood to be human! Genoa is the largest seaport in the country. The sun-kissed land bordering its main urban area is occupied by a number of charming coastal towns which make up the Italian Riviera. This is what most travellers visiting Genoa come to see, but a myriad of sights chronicling the city’s rich history make it a culturally impressive destination. 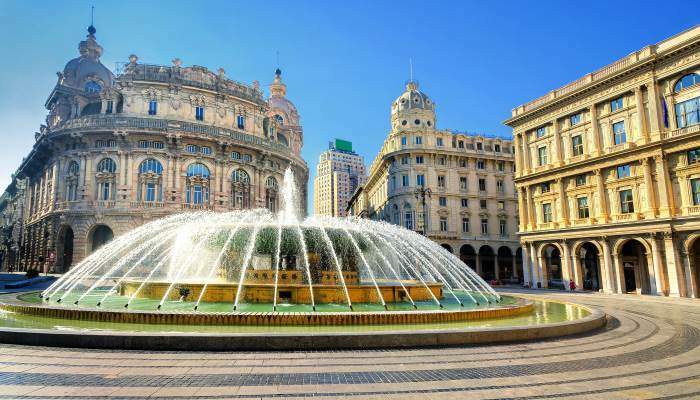 Moulded by narrow medieval streets, or caruggi, the historic centre has the Piazza de Ferrari at its core, and its striking fountain is framed by palaces, a theatre and the beautifully curved stock exchange building. You’ll need more than an afternoon to soak it all in. 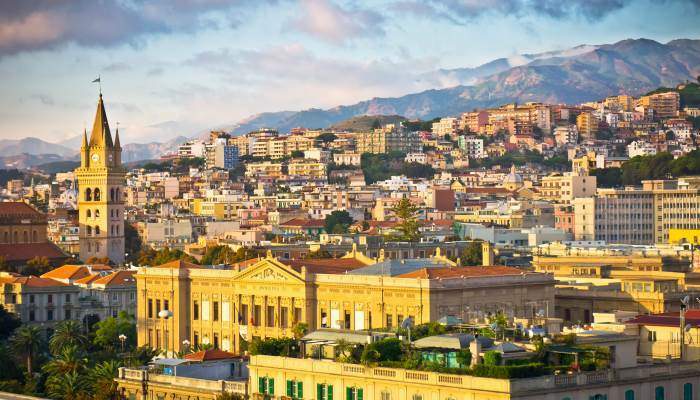 Located on Sicily’s eastern tip, Messina is often used as the base for shore excursions to the ancient settlement of Taormina and Mount Etna – the tallest active volcano in the continent. Shaped by a turbulent past, the city has fallen victim to everything from invasions and riots to the 1908 earthquake which damaged many of the city’s important buildings. These have since been rebuilt to resemble their former glory and include the 12th century cathedral which has one of the world’s largest astronomical clocks. The Sanctuary of Montevergine is also worth a visit because it contains the incorrupt 500-year-old body of Saint Eustochia Smeralda Calafato, whose sainthood is said to be a contributing factor to why the body is so well preserved. 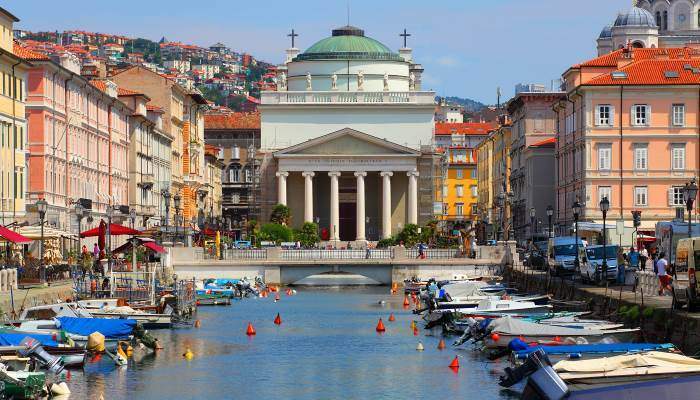 Bordered by Slovenia’s craggy, snow coated mountains and home to Roman ruins and neoclassical architecture, Trieste is another attractive port city. In its centre, a canal separates rows of cafes leading up to the Piazza Sant’Antonio, and the city’s cathedral is filled with mosaic artwork. To see Trieste in its entirety, hike up the San Giusto hill to enjoy beautiful uninterrupted views. Lying on Italy’s heel, Bari‘s claim to fame lies in the tomb of St. Nikolas. Yes, it’s where you’ll find the bones of Mr Claus! But that’s not all you’ll find here. A lively night scene, sports stadium and newly refurbished opera house are among the others. It’s also a great shopping destination, with streets such as Via Sparano offering good quality designer goods and the open-air Bari market offering everything from trinkets, homewares and antiques. Bari’s old town is home to attractive, aged buildings crammed into narrow, winding alleys – walk down them to discover churches, restaurants and more hidden gems.